Pure intensity! Pure creativity! Pure pigment! These loose highly-saturated colored powders will summon the artist in you! Whether you prefer a gentle wash of color or a dazzling WOW! the effect, Inglot AMC Pure Pigment Eye Shadow deserves a place in your makeup kit. Each jar contains 90% of pure pigment and can be blended with Duraline to create liquid pigment goodness! All pigments are hypoallergenic and contain sponge gourd oil. Inglot Pure Pigment can be paired with Inglot Duraline to create winged eyeliner looks! 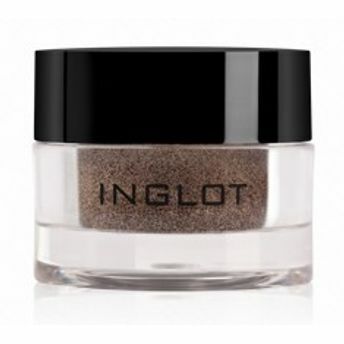 About the Brand: A wide range of colors and an impressive variety of makeup products is something that makes Inglot Cosmetics stand out from the crowd. Founded over 30 years ago, in Poland, Inglot is one of the world's leading manufacturers of trendy cosmetics and makeup products. Using the latest scientific technology with intense and vibrant colors, the brand brings the latest makeup trends to the market and are loved by makeup enthusiasts across the globe! Explore the entire range of Eye Shadow available on Nykaa. Shop more Inglot products here.You can browse through the complete world of Inglot Eye Shadow .Alternatively, you can also find many more products from the Inglot AMC Pure Pigment Eye Shadow range.